Having attended hundreds of concerts at the Montreal International Jazz Festival over more than 30 years, I am happy to share my picks for the best of the fest. Non-jazz players performing at the festival do not qualify for this list. Legendary saxophonist Charles Lloyd, in the first of his Invitation Series, plays in a quartet with innovative pianist Jason Moran, Théâtre Jean Duceppe, 6 pm $62.50. Piano master Chucho Valdés and the Afro-Cuban Messengers with saxophonist Branford Marsalis, Théâtre Maisonneuve, 8 pm, $45-$70.50. Tenor saxophonist Ravi Coltrane, son of John and Alice Coltrane, has carved out a unique persona as an improviser, Théâtre Jean Duceppe, 9:30 pm, $44. Saxophonist Charles Lloyd explores the sonic universe with master tabla player Zakir Hussain and drummer Eric Harland, Théâtre Jean Duceppe, 6 pm, $62.50. Saxophonist Wayne Shorter celebrates his 80th with his quartet, a quintet featuring saxophonist Joe Lovano and trumpeter Dave Douglas, and the ACS trio (pianist Geri Allen, drummer Terri Lyne Carrington, bassist Esperanza Spalding), Théâtre Maisonneuve, 7 pm, $76.50-$93.50. Master guitarist Bill Frisell solo, l’Astral, 9 pm, $42-$48.40. Saxophonist Charles Lloyd engages in duo and trio exchanges with pianist Jason Moran and guitarist Bill Frisell, Théâtre Jean Duceppe, 6 pm, $66.50. French pianist Jackie Terrasson in a classic trio setting, Gesù, $10:30 pm, $37-$42.55. 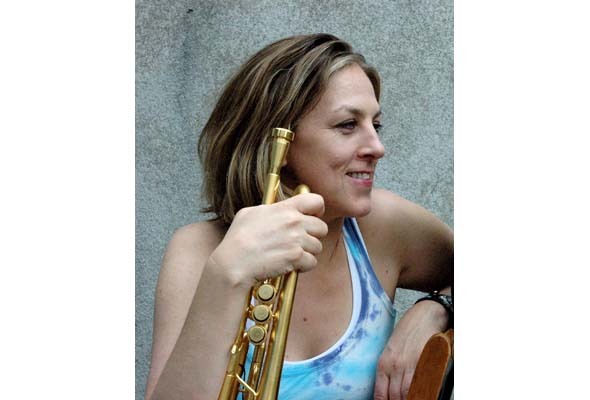 Trumpeter Ingrid Jensen, with sister Christine Jensen (alto sax), and Gary Versace (keyboards) are expansive, innovative and original, l’Astrale, 6 pm, $27-$29.95. Harold López-Nussa, Cuban piano whiz and a festival discovery, Cinquième Salle, Place des Arts, 7 pm, $29-$32.50. Sax giant David Murray take a soul bifurcation with creative vocalist Macy Gray and a quartet with drummer Nasheet Waits, Théâtre Jean Duceppe, 9:30 pm, $51. Guitarist Kurt Rosenwinkel is a leading composer/post-bop trailblazer who uses effect units, with pianist Aaron Parks in a quartet, Théâtre Jean Duceppe, 9:30 pm, $45. Pianist Steve Kuhn, 75, a magnificent pianist and leader, plays with ace bassist Steve Swallow and the great drummer Joey Baron, Gesù, 10:30 pm, $38-$44.35. Saxophonist Joel Miller, 2013 Juno Award-winner for contemporary jazz album of the year, performs in a quartet with pianist Geoff Keezer, L’Astral, 6 pm, $21-$24.30. Dr. John & the Nite Tripper and Leon Russell—exceptions to the jazz-only rule—in a double bill of R&B, blues, rock and funk, Théâtre Maisonneuve, 8 pm, $61-$76.50. Vijay Iyer, the brilliant and accomplished scientist and pianist, launches his Invitation Series with his trio, Gesù, 6 pm, $36-$42.35. The Mediterranean soul of Italian pianist Enrico Pieranunzi always shines, solo, Cinquième Salle, Place des Arts, $42. Montreal’s Nikki Yanofsky, 19, is featured in a new program arranged by Quincy Jones, Théâtre du Nouveau Monde, 8 pm, $57.20-$68.70. Repeated July 5 and 6. Pianist Vijay Iyer, in his second invitation gig, in a duo with keyboardist Craig Tayborn, Gesù, 6 pm, $31.30-$36.85. West African guitarist Lionel Loueke’s evocative sound transports the listener to a heavenly domain, in a trio at L’Astral, 9 pm, $30-$34.40. Saxophonist/composer Tim Berne showcases his cutting-edge Snakeoil quartet featured on his first ECM CD, with Oscar Noriega (clarinets), Gesù, 10:30 pm, $37-$42.60. 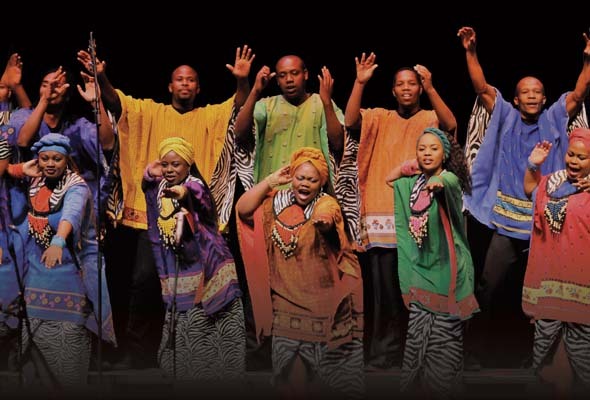 The stunning Soweto Gospel Choir—their Amazing Grace has 4.8 million YouTube hits—at Maison Symphonique, 3 pm and 7 pm $60.50-$70.50. Pianist Vijay Iyer solo, Gesù, 6 pm, $31.30-$36.85. Orchestre National de Jazz de Montréal, Christine Jensen directing the city’s best and works by Coltrane and Joni Mitchell, 9:30 pm, Théâtre Jean Duceppe $44. All-star post-bop group Migration with Antonio Sanchez (drums), David Binney (alto sax), John Escreet (piano) and Matt Brewer (bass), Gesù, 10:30 pm, $40-$46.35. Pianist Vic Vogel—he wears his heart on the keyboard—Cinquième Salle, Place des Arts, 7 pm $32.50. 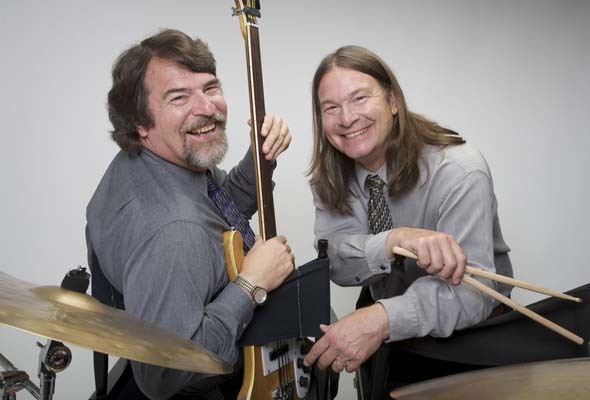 Brubeck Brothers pay tribute to father Dave with a Montreal trio, Théâtre Jean Duceppe, 9:30 pm, $44. Post-bop guitarist John Abercrombie with Billy Drewes (sax), Joey Baron (drums) Drew Gress (bass), Gesù, 10:30 pm, $40-$46.35. Be the first to comment on "Montreal International Jazz Festival: Best jazz picks"